When growing conditions become desert-like, do your days in the garden feel like a hose is attached to your hip? Other than the edibles, containers and a few select beds, we keep the watering to a minimum. One of the easiest ways to plan for a low-maintenance garden is to use succulents and drought-tolerant natives. 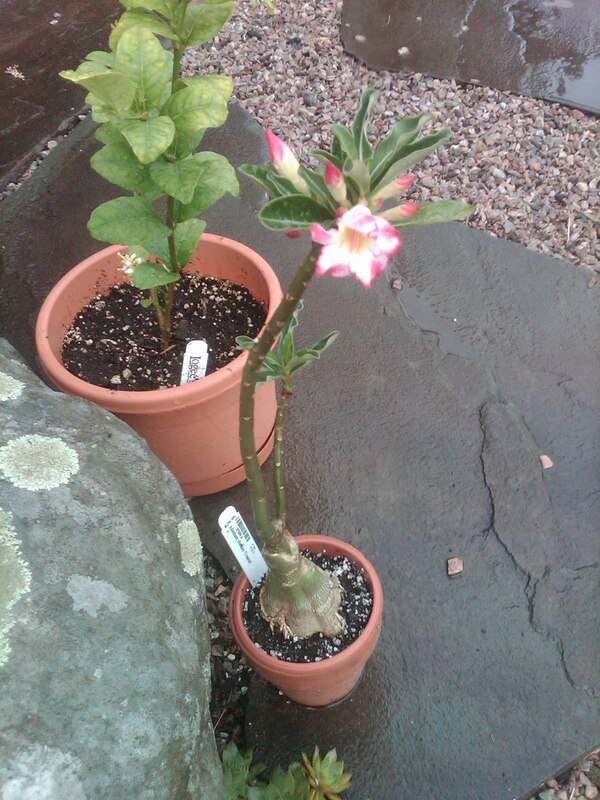 If you want to be water-wise but search for a bloom with some interest, you must try the Desert Rose (Adenium obesum). This succulent is a great indoor plant to move outdoors in the sting of the summer heat. Give it full sun on a stone terrace or place under an overhang or front porch that gets little rain but lots of sun. 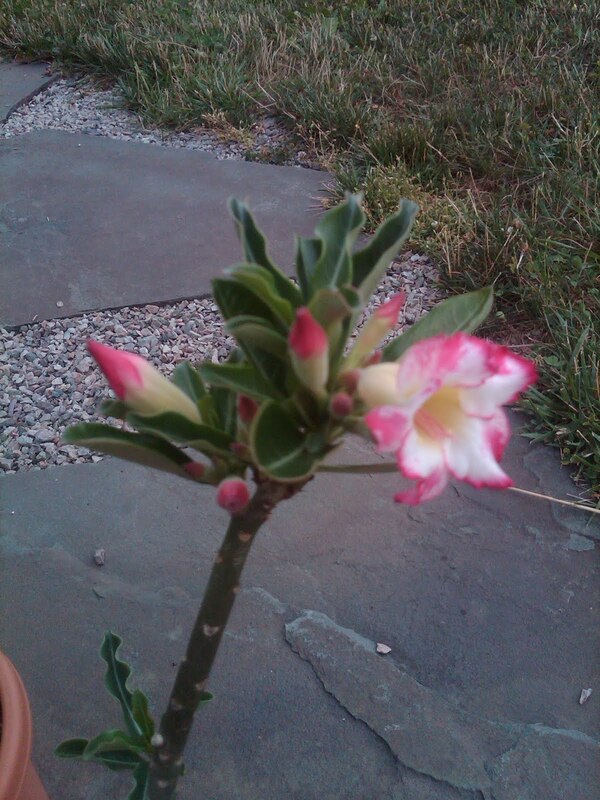 As long as arid, dry conditions exist, blossoms are certain to appear on a steamy summer morning. Then you can start tapping your toes, keeping in beat to Sting’s song ‘Desert Rose’. “I dream of rain, I dream of gardens in the desert sand…” We do need some liquid sunshine from the sky but I’ll take watering over a deluge of downpours, which can be a more damaging present from Mother Nature. On that note, I’ll end Monday’s blog with an Antoine de Saint-Exupery quote. “What makes the desert beautiful is that somewhere it hides a well.” Or a lovely flower that appears in the desert sand.